Michael Ignatieff—president and rector of the Central European University in Budapest, Hungary, former leader of the Liberal Party of Canada, and writer, most recently of The Ordinary Virtues: Moral Order in a Divided World—is the winner of the eighth annual Zócalo Book Prize. 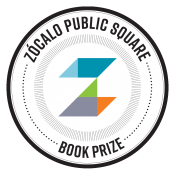 The prize is given to the nonfiction book that most enhances our understanding of community, human connectedness, and social cohesion. Ignatieff is a prominent public intellectual who has held positions at some of North America’s and Europe’s most well-regarded institutions, including Oxford, Harvard, the Canadian Parliament, and the BBC. Yet his book finds glue for our fractured world in what he calls the ordinary virtues: trust, honesty, politeness, forbearance, and respect. Ignatieff will deliver the lecture and accept the prize, which includes a $5,000 award, on May 22 at the National Center for the Preservation Democracy in downtown Los Angeles. Please see more details on the award ceremony here. 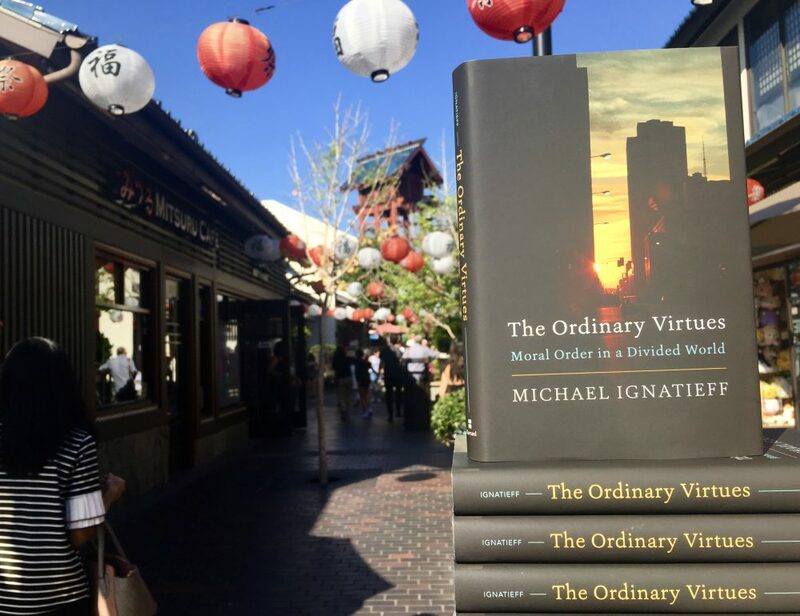 Q: Your book is called The Ordinary Virtues. What are these, and how did you see them at work in places like South Africa and Brazil? Ordinary virtues are that limited trust where you have a set of expectations about how interactions with strangers are going to go. You nod and say hi. You go into a store, you buy your stuff, you nod, you talk to people. There’s a micro-world of trust and transaction that communities depend on. In South Africa, I was looking at virtues at work where people have almost nothing. I was visiting illegal settlements where….they have no cops; they have no water; they have no light. They get no services from the South African government. It’s as if they had been cast out onto a desert island. But out of the 700 or 800 people in this illegal settlement, they produce a kind of moral order. The front yards are swept clean. There’s a little waffle fence separating each person off from the next person. Yes, there is crime. Yes, there is victimization. But life is made just tolerable because people reproduce a certain kind of basic order. In this case, it’s assisted by a Christian charity that has plugged in right at the base of the community. In Brazil, I went to a favela perched on the hillsides above Rio that has been there for about 70 years and is home to a couple of thousand people. They had a different story: Drug gangs had controlled the community and dictated what order there was. When the police seized back control of the community, the policing began to be done right. And that enabled people in the community to reproduce their own kind of order. So the favela I saw was a case where a new form of policing had been put in place which was non-abusive and sympathetic to the community. And I was able to study what a positive effect that had on the people to display the ordinary virtues of trust. Trusting your neighbor, leaving your kids with your neighbor, leaving your door unlocked, asking someone to look after your mother while you stepped out for a minute to get your groceries. Grocery shopping for each other. All the little stuff that happens in the neighborhood becomes possible because you have a semi-decent policing system there. So it is a study about the relationship between good institutions and virtue. What did you learn from the cities you traveled to? Cities are not just freeways and economic systems. They have a moral operating system. There have got to be some very basic moral assumptions about the behavior of others that you can take for granted and not even think about. That’s the moral operating system, and when it gets broken, societies look into the abyss, and they have to walk back, and they have to rewrite the code. Los Angeles is a fascinating place in terms of community and community repair after trauma (the riots of the 1960s and Rodney King in the 1990s). It’s a community of communities, people struggling to make sure the moral operating system works well enough so that the place moves forward, not backward. I learned a tremendous amount on my visit there. I learned a lot about what tears communities apart. It’s not just inequality. It’s not just racism. It’s not just disadvantage or poverty. It’s a sense of outrage that your basic moral expectations have been violated. The police failed in L.A. during the Rodney King period. Racialized violence broke the civic contract in a second. What is it that we need to study to understand how this dynamic works? We need to see the moral dimension of what makes cities cohere and thrive as communities. We need to think of the city not as a top-down structure but as a vast network of moral interaction and moral leadership, and we need to do everything we can to strengthen those networks. What stitches people together is not human rights talk or a new language. It’s limited provisional relationships of trust between civic leaders such that when bad things happen, they can make a call to calm things down on the other side, conditional on them cooling it down on their side. It’s not high-falutin’; it’s not, "Let’s all sit around the table and sing kumbaya.” It’s, “If we don’t stop this we will damage a fabric that we all need.” It’s the mutual interest in avoiding disaster. It’s working together so our interests converge. I put a lot of emphasis on leadership, on strengthening networks. The mayor can’t do it, the business leaders can’t do it, the philanthropists can’t do it. You have to get right down into communities and networks and build this thing from the ground up. Everyone needs to be plugged into the network, and when you have that, you have something that’s resilient and something that can adapt in times of crisis. In your book, you contrast ordinary virtues with universal values. What use, if any, are universal values like human rights in healing our society right now? In 1945, the white portion of the human race thought they were born to rule people of different skin color, and in 2018, we’ve come a long way from there because the basic recognition of human universality has battened down a lot of doors. I’m here to tell of how far we have come, a positive story. But I don’t know in 2018 how we’re going to reduce divisions in our society by saying we’re all human beings. We need to agree to disagree about a lot of things and find a narrow bunch of things we have to agree about, like decent schools for our kids and basic rule of law and honest cops—some basic infrastructure. Let’s go back to basics together. Not everything needs to divide us politically. Not everything has a red label on it or a blue label on it. There are just some basics everyone needs in order to do everything. If you have a very polarized society, even fights ought to have rules. And then there’s some unwritten rules, and I think the unwritten rules are very, very important. You mention that there is a cheerful inconsistency in the ordinary virtues. Could you explain that? And is it a good thing or a bad thing? Well, I think cheerful inconsistency is the nature of all our moral lives. Moral consistency is a virtue that only philosophers get to practice. I’m a liberal so I preach tolerance and yet I end up being suspicious and wary of all kinds of people. That is not very consistent. And it’s also not very cheerful. Sometimes, cheerful inconsistency is when you have some idea that you believe and then you have an experience that contradicts your principles. And you end up learning. The cheerful inconsistency is the moment when you can understand the difference between what you believe ought to be true and what actually turns out to be true. And the cheerful part is that we’re learning something new. We struggle for consistency, but most of us are barely able to think what consistency would mean because our moral lives depend on the circumstance, on the person in front of us. Are there any virtues under threat by larger institutions or trends that you’re particularly worried about? Trust is the one. The limited trust that we need to have democracy work is in a lot of trouble. Electing somebody to go to Washington, for instance. Our capacity to trust these men and women has been eroded by 40 to 50 years. But you can’t run a democracy without trusting representatives to some extent. The way we get that back is a matter of good behavior: You get one good representative doing their job, being accountable, and not saying one thing while doing another. It’s performative, this stuff. There’s no way to give some big message to the world about how you restore trust. Trust is that when a senator goes to Washington, she does her damn job. By showing people that she’s doing her best in a difficult situation, she reproduces trust. I’ve been an elected representative so I know how hard this stuff is. And there are no general lessons at work. You have to show up to the meetings in the community. You have to remember people’s birthdays. And if you say you’re going to vote for something you damn well vote for something. If you can’t vote for something you then have to explain that to people. Trust is performative in that way. And our democracy depends on people being willing to do that. What lesson do you hope people might take from this book? We need to treasure ordinary virtue and the moral operating systems that bind strangers together, and we need to do everything we can to understand how these moral operating systems work. We need to understand how they sustain communities. We need to look unflinchingly at what happens when they break down, and we need to understand what we do to repair them. Ignatieff joins a distinguished list of previous Zócalo Book Prize winners: Princeton sociologist Mitchell Duneier, MIT science and technology scholar Sherry Turkle, Harvard political philosopher Danielle Allen, MIT Center for Civic Media director Ethan Zuckerman, New York University social psychologist Jonathan Haidt, London School of Economics and New York University sociologist Richard Sennett, and journalist Peter Lovenheim. Zócalo thanks this year’s panel of judges: Smithsonian National Museum of American History director John Gray, Annenberg Foundation Trust at Sunnylands chief administrative officer Rebecca Ávila, Princeton’s Duneier, Japanese American National Museum president and CEO Ann Burroughs, and Arizona State University strategic partnerships director Dulce Vasquez. Buy the Book Amazon, Powell's Books, Skylight Books.